It is our mission to partner with our clients to provide high-quality personalized training services within a small group environment taught by real-world professionals and aviation enthusiasts in a comfortable, friendly and relaxed setting. All of our courses are taught with a proprietary curriculum and state-of-the-art technology. Ensuring the best training experience for pilots seeking initial type ratings, ATP certificates, SIC training, or insurance-approved recurrent training. We offer a variety of comprehensive citation training programs designed to meet the needs of beginner, advanced and career-oriented turbine pilots. 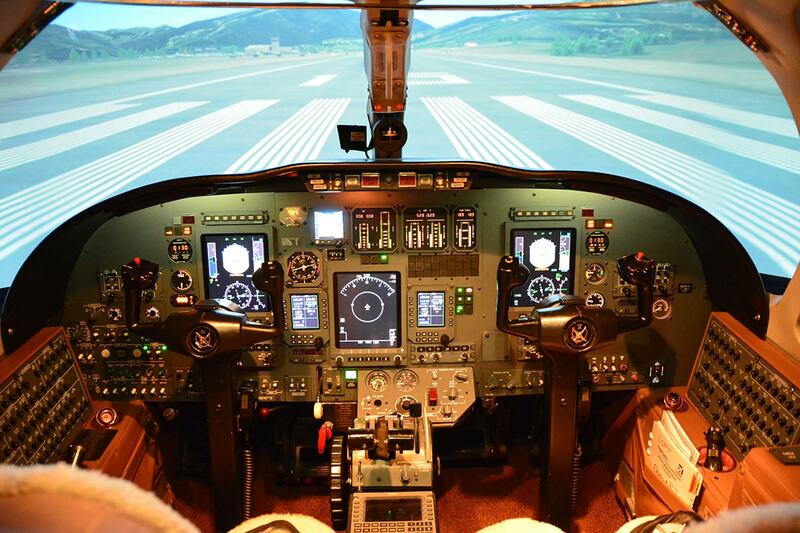 The courses can be taught completely in the Simulator, in the Aircraft, or as a hybrid of both. Beyond our core offerings listed above, we also offer High Altitude Endorsements, RVSM, and Pinch Hitter Training. Text my phone number with response!